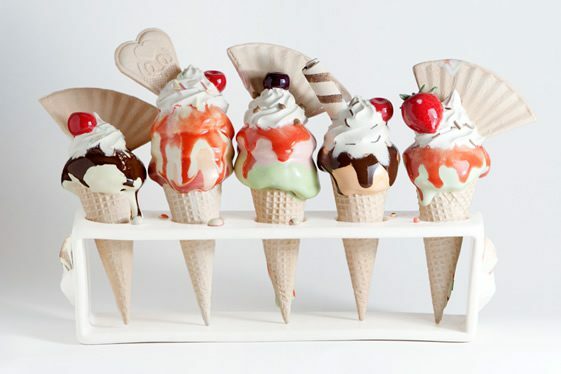 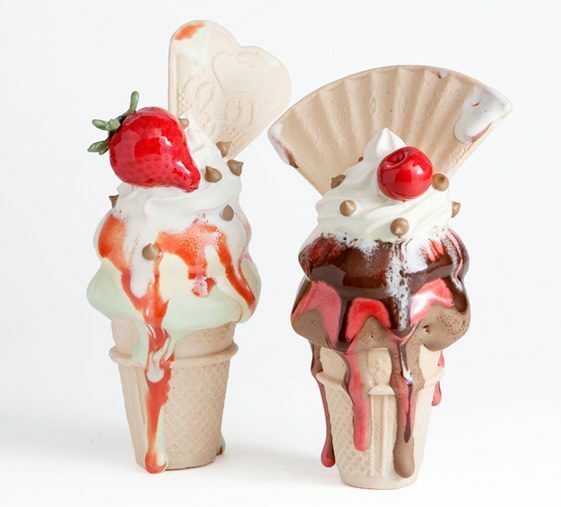 Fascinated by food, the way we eat, and the rituals of treats and indulgence; artist Anna Barlow exercises dexterous ceramics-wizardry to create these stunningly original sculptures from clay, porcelain and glaze. 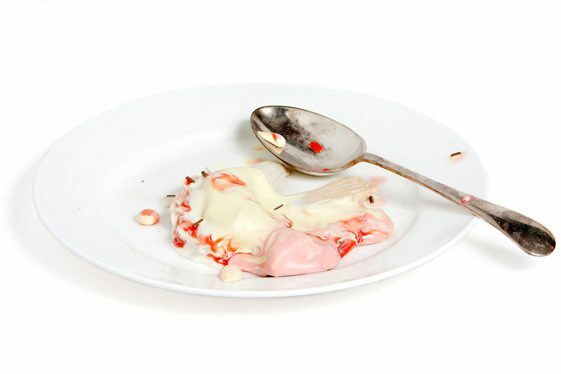 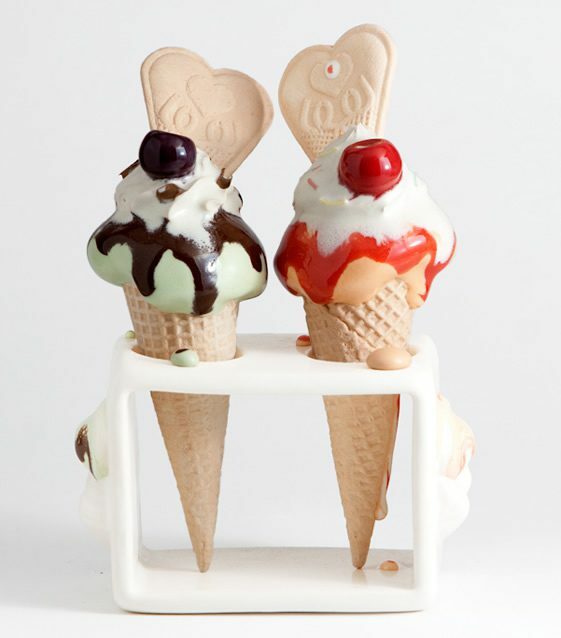 Capturing the evocative, fleeting moments of melting ice creams on a summer’s day, the pieces evoke tastes, memories and contemplations. 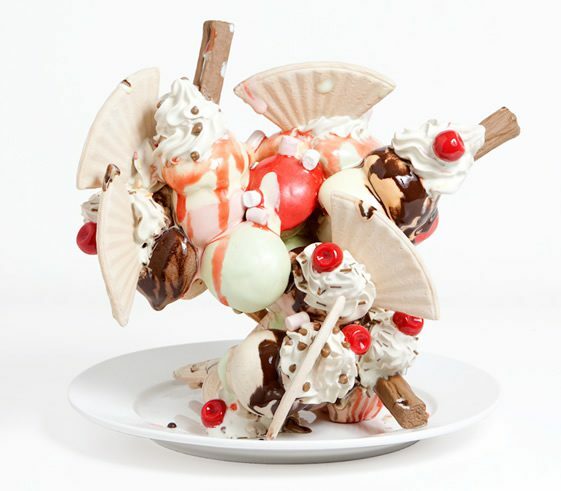 The textures Barlow has achieved are magical, the biscuity wafers and trickling ice cream and sauce quite simply leave you salivating – if not foaming at the mouth – over her remarkable creations, and the range of emotions brought on by such a seemingly simple vision is curiously profound. 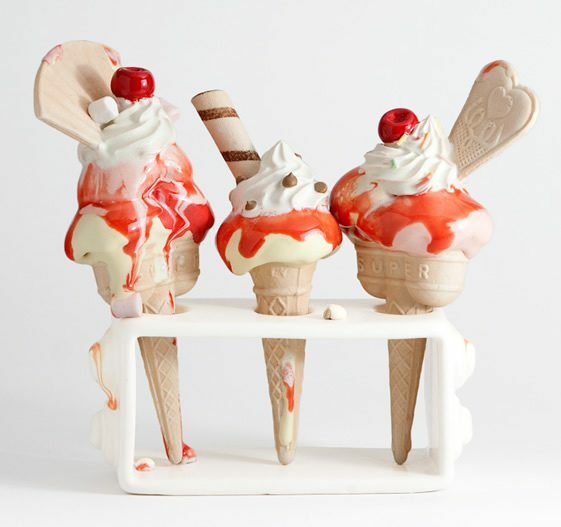 What’s more is that, starting from £100, Anna’s works fall into the seriously-affordable art category – so, if the sight of her works alone weren’t making you feel gleeful enough, the prospect of owning your own little slice of summer emotion surely will.